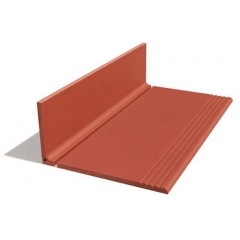 LOPO Terracotta is specialized for extrusion flame color clay tile cladding. 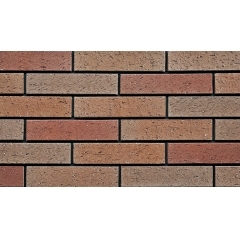 For all your bricks, pavings and other exterior wall and floor building materials. 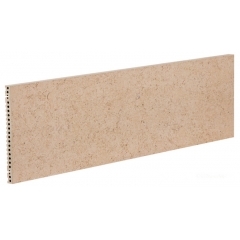 Marble look porcelain panel gives the product easier to install compared to natural marble tile as it can be glued, wet cladding and dry cladding. 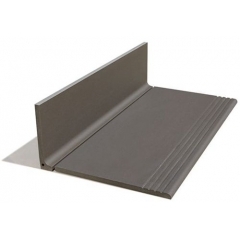 What's more, it can add one more layer protection to the building walls. 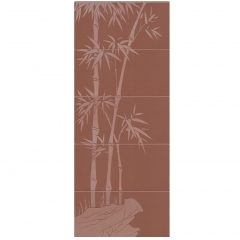 Micro-engraved wall cladding products can not only be used for room decoration, but also can constitute an entire creative project. Personalized application will provide more inspiration for designers. 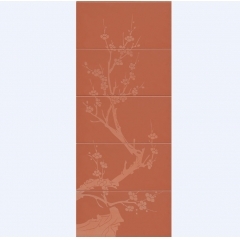 When applying micro-engraving to Terracotta Cladding Materials, personalized patterns can be attained, and different color mixture is available through dyeing and inlay technique. 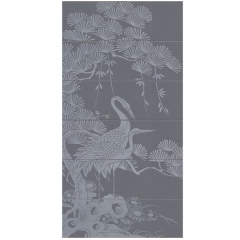 Micro-engraving is commonly known and widely used in the treatment of marble grains in the marble-production regions (such as Shuitou town, Hui’an County) of Fujian Province, China. 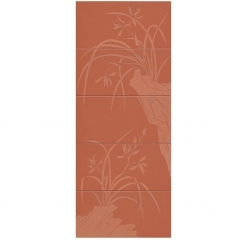 Terracotta facade is one of the few materials that are suitable for both indoor and outdoor use. Its strength and beauty have made it useful in several scenarios and settings in architecture. 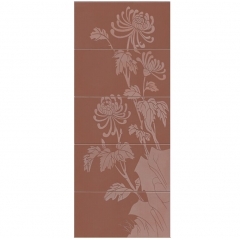 LOPO flat finish floor tile is an unglazed corrosion resistant terracotta floor tile manufactured by the extruded split-tile method utilizing a precision process from clay selection and preparation, through to quality control and packaging. Terracotta floor panel is increased durability. It can last for several years and seldom need to be replaced. Whatis more, yellow color has incomparable strength which makes it one of the most preferred choices among most of the home builders.